Owner Operator Insurance Wisconsin — Quotes Available 7 Days per Week. Looking for a deal on Owner Operator Insurance in Wisconsin? You found the right website! If you find our company during the work week Monday – Friday call 800-998-0662 up to 5 PM Central Standard Time to speak with one of our Commercial Truck Insurance Agents. If it is after this time or on the weekend use our chat system by clicking the chat button. If our agents are not manning the chat system at the moment it will prompt you to “leave a message.” You can leave your name, email, and telephone number and a licensed agent will get back to you soon. Owner Operator Insurance Wisconsin — Ways to Keep Your Premiums Low! Owner Operator Insurance in Wisconsin is expensive, so as an agency we like to share tips and strategies to help you keep your premiums low for as long as you need this type of Commercial Auto Insurance. To keep your premiums low it’s often best to talk about ways that will make your premiums more expensive than necessary so that you can avoid them. It’s very important to keep these tips in mind because they may save you hundreds of thousands of dollars over the lifetime of your insurance buying experience. Tip Number One – Don’t hire bad drivers! Drivers with multiple tickets and accidents including safety violations will cost you more money than necessary on your Commercial Truck Insurance. Example: Steve Jones, the owner of Jones Get Them Now Transportation, owns two trucks. He drives one truck and his brother Samuel drives the other. Steve Jones is 60 years old and vastly overweight because of his poor diet and lack of exercise. He has a heart attack one Saturday afternoon. Steve is rushed to the hospital. Fortunately, the heart attack was not fatal but he needs an emergency quadruple bypass. A few days after the surgery Steve is advised by his doctor to not drive anymore. Steve has contracts and obligations so he makes arrangements to hire a driver. He is in a bit of a bind so he hires the first person who accepts the job: Ned Nelson, better known to his beer drinking buddies as Leadfoot Nelson. As you can imagine Leadfoot Nelson did not acquire his nickname by obeying the traffic laws, yet he has a CDL license despite the fact he was just fired from his previous company because of too many points on his driving record. Steve Jones does not check Ned’s driver’s license but puts him on the road immediately. He then contacts his agent to add Ned Nelson to the company’s commercial auto policy. Steve’s agent, Peter Pumpernickel, assigns the driver addition to his assistant, Angela. Angela is a new assistant to Peter, so she forgot to run the motor vehicle report on Ned Nelson before sending the request to the insurance company to add Ned to Steve’s insurance policy. The insurance company adds Ned to the policy and notices that he has a bad record. Because Steve has been with the same company for years the underwriter allows Ned to be placed as a driver but surcharges the policy by 35% because of Ned’s bad driving record. Ned is on the road for only four days when he causes a multi-car accident resulting in four serious injuries for which he is found to be at fault. The police site speeding as the reason for the crash. The very next day Steve gets his bill from the insurance company and his premium has jumped by over $10,000 for the year. He calls his agent – somewhat sheepishly because of the accident that Ned just caused – to find out why the rate was so high. Peter Pumpernickel explains that because Ned’s driving record is so bad the rates have been increased by $10,000 for the year, but that’s not the worst news Peter has for Steve. Peter just got off the phone from the underwriter of the company Steve is insured with, and they are sending out a 30-day cancellation notice because of the accident that Ned just caused. Steve naturally fires Ned as soon as he gets off the phone, but the damage has already been done. Steve is forced to find another insurance company, and despite the fact that Ned is no longer with Steve’s company, the claim that Leadfoot Nelson caused will stay on Steve’s record for up to five years with some insurance providers. Owner Operator Insurance Wisconsin — What Lesson Is Learned From This Experience? Before you put a driver on the road you need to make sure that you run their MVR reports. Hiring a driver or keeping a driver with one or two tickets can increase your premiums. Drivers who need SR 22s and/or who have reckless operations or DUIs on their record will cost you plenty in terms of insurance premiums. What if you can’t find drivers that are accident or ticket free? 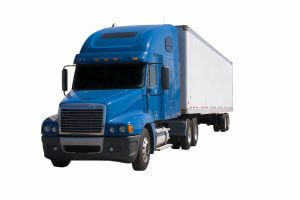 You just need to realize that you are going to pay more money for your Commercial Truck Insurance. However, there is one additional step that you can take. Owner Operator Insurance Wisconsin — Allow Pathway to Shop the Market! What’s interesting about Wisconsin Owner Operator Insurance is that not every insurance company charges the same rate based on the exact same circumstances. In some cases, one Wisconsin Truck Insurance Company will charge 40% more than another company based on the same drivers, trucks, liability limits, and deductibles. We can shop the market to help you find the rates that you’re looking for even if your drivers have a few incidents on their record. In future posts, we will discuss other ways to keep your premiums low. Call Pathway Insurance Today When You Need Owner Operator Insurance in Wisconsin. Call 1-800-998-0662 Monday through Friday until 5 PM Central Standard Time and one of our truck insurance agents will be glad to shop the market for you.